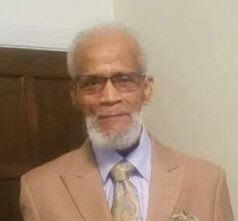 The Gaines Funeral Home is saddened to announce the passing of one of Cleveland's finest, devoted, and longtime servants of God, Pastor Walter Humphrey of New Joshua Missionary Baptist Church. Funeral service will be held on Saturday, April 7, 2017 at Temple Baptist Church, 1862 Noble Road, East Cleveland, Ohio 44112 beginning at 11:00 A.M. The family will greet friends and guests from 10:00 - 11:00 A.M. Final interment will be on Monday, April 9, 2018 at Evergreen Memorial Park.